Zelda director Eiji Aonuma claims that he and his team failed to realize its goal with Legend of Zelda: Twilight Princess, but will learn from those mistakes for the next installment. 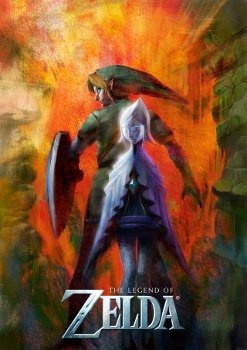 Twilight Princess might have been a big hit with critics, but series director Eiji Aonuma was unhappy with it, claiming that it failed to live up to what he had in his head while he was making it: "For Twilight Princess we used the adult Link and one of the interesting things about that was how we considered the precise proportions of Link and the world. The scale is because we aimed for a more realistic quality in the size of the environments of Hyrule and what that Link faced." "But the question is whether or not we were able to incorporate any and all of the interesting game ideas that were able to take advantage of that kind of sheer grand scale within the Zelda universe. I am afraid that definitely no, we were not able to do all the things that perhaps with hindsight we had the capabilities to do," he added. Aonuma compared the task of creating Twilight Princess with the most recent Zelda game, Spirit Tracks, saying that in the DS title, his team was free to explore the various ideas they had, without worrying about the realism factor. Aonuma made it clear however that he would not repeat his mistake with the follow up and planned to build on: "With [ Twilight Princess ] as the starting point, we are now developing the Wii version of Legend Of Zelda."